As Portishead’s seminal LP Dummy turns twenty, Getintothis’ David McTague reflects on this seminal UK debut. 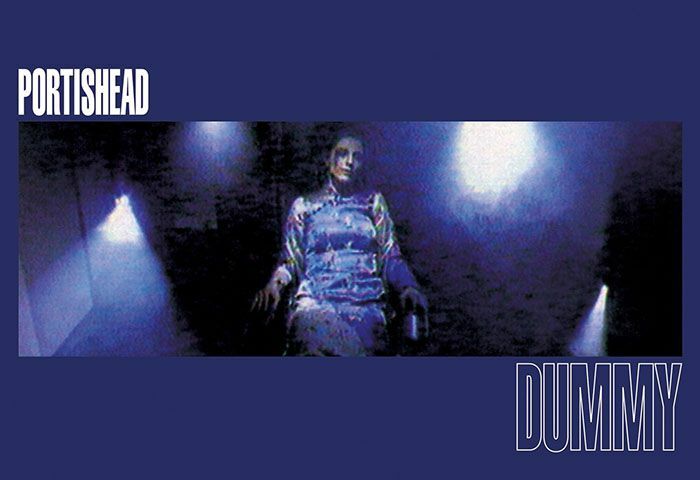 It’s 2014, and that means it’s twenty whole years since Portishead released their seminal LP – Dummy. Whilst the record is evocative of a time and place far from today, it certainly doesn’t sound twenty years old. The new package, musically speaking, is identical. The band have been true to the original LP: no digital remastering, no bonus tracks. Just the album, an anniversary edition, cut on a slab of limited edition blue vinyl. And when the blue have all sold it’s back to black. Sure, if Dummy was released today, it might not have gone on to influence the huge numbers of artists it has. It almost certainly wouldn’t have sold as many copies. But nonetheless it should be in the running for a (nother) Mercury award. Dummy in 2014 remains precisely the same magnificent melting pot it was in 1994. If we’re honest, back in ’94 this writer was a little too young to fully appreciate the album. 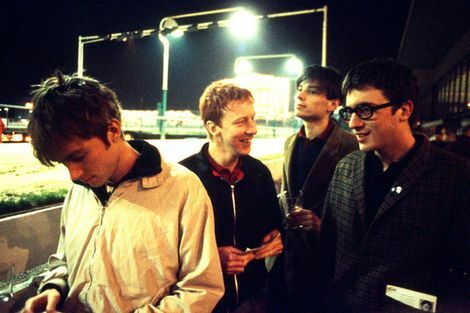 Britpop was kicking off and we were along for the ride. But we were always aware of Portishead and Dummy. 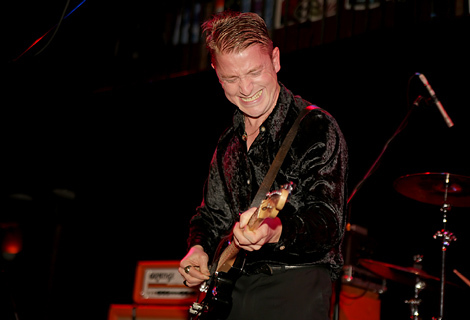 We had seen that enigmatic blue cover, knew a few of their songs, and were quietly intrigued. Eventually we bought a copy, but at first couldn’t quite grasp it. Maybe it was our ears, or that time in our life, or maybe the quality of our audio equipment couldn’t enlighten us as to what was going on at the low end. Whatever the reason, a few years later that haze-inducing penny dropped, and since then it has became more than a loyal companion, remaining one of our favourite albums. One word sums up the record more than any other: Atmosphere. It’s hard to pin down what is so special, so mysterious and so otherworldly about the record. But it just feels something magical is being created. Geoff Barrow and Beth Gibbons. An unlikely marriage but one well ahead of the times; the maverick cut and paste beatsmith and the singer songwriter with the sultry vocals. Add into the mix jazz guitarist Adrian Utley and the holy trinity that is Portishead is complete. Beautifully crafted songs are woven into a tapestry of live instrumentation, samples, loops and technical wizardry. The samples, which span dub, soul, jazz, blues, funk, prog and downtempo hip hop create menacing and eerie soundscapes that form a perfect backdrop for the dark and paranoid lyrical themes described by the haunting, crystalline vocals of Gibbons. Beautiful whilst at times uncomfortable. Tortured. Understated yet powerful, tender yet fragile. Evocative of smoky jazz clubs and dusty old records, albeit with a more modern hip hop feel. Somewhere in the sum of these disparate but wonderful parts something very special is going on. Barrow was the tape operator on Blue Lines, and the lineage of that ‘Bristol’ sound can be heard throughout. Whilst the band spawned from the post-Massive Attack scene, they found themselves celebrated exponents of ‘Trip hop’ – that most taboo of terms – and are oft cited as ‘defining the 90s’. In many ways, Dummy has a more timeless quality than many of the celebrated works offered by their South West contemporaries. Along with Massive Attack, Tricky, Finley Quaye (and a compilation or two) Portishead were a catalyst for a personal journey into the worlds of reggae, jazz and hip hop. The record certainly drew on a wide palette of influences from the past… but more importantly, it was a sound that went on to inspire future generations of musicians, writers and producers, and one that would become a bedrock for the musical landscape. This can be heard far and wide today, whether it be hip hop, the UK garage of the late 90s or countless range of dance genres that have been unearthed and created since. Taking more direct inspiration, the band have been sampled by many – with notable examples including Mogwai (who will play Liverpool Music Week this year), Maverick Sabre, Slick Rick, Missy Elliot and even RZA & ODB. And Glory Box was covered by a certain John Martyn. High praise indeed from the high priest of experimental folk-jazz. Now this writer doesn’t want to sound like a technology fearing grumpy old man, but it makes us sad that the music loving teenagers of today could potentially listen to this masterpiece through micro speakers, laptops and mobile phone apps. And while the songs may shine through, they would quite probably miss a rather important element. The low end to be precise. What this record needs, what it deserves, is some nice warm sounding speakers. Turn the lights down low, the bass up high and find yourself something to help this glorious and melancholy medicine go down.